And he would say, ‘Let me see’, and walk slowly round the cardinal; and saying ‘May I?’ he would pinch a sleeve between an expert forefinger and thumb; and standing back, he would view him, to estimate his girth – year on year, the cardinal expands – and so come up with figure. The cardinal would clap his hands, delighted. ‘Let the begrudgers behold us! On, on, on.’ His procession would form up, his silver crosses, his sergeants-at-arms with their axes of gilt: for the cardinal went nowhere, in public, without a procession. 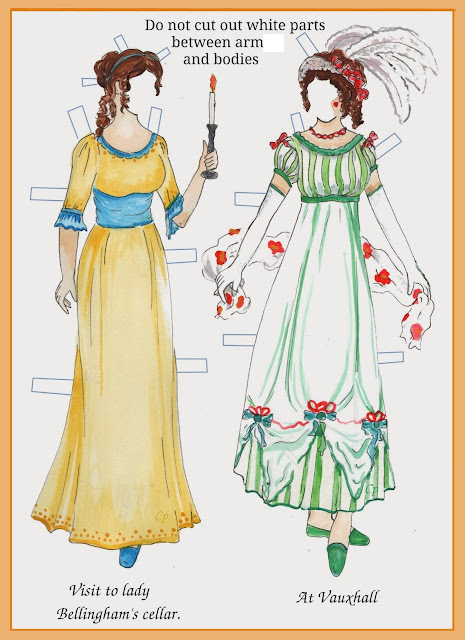 observations: This is a picture of the person described, a real person, wearing robes as in the description – pretty much a first for Clothes in Books, which likes to take an interpretive role with fictional people. A change in the rules for an outstanding novel. The sequel (from a projected trilogy), Bring up the Bodies, will be published this week, and we are waiting nervously to see if it can possibly be as good as Wolf Hall, and meanwhile having a re-read (on Kindle, because someone ‘borrowed’ our h/b 1st ed). 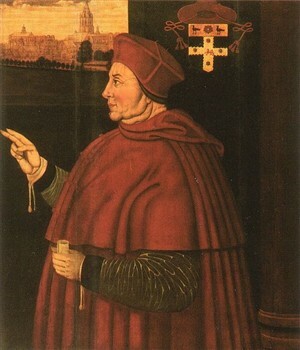 Links up with: Cardinal Wolsey founded - in a manner of speaking, it went through several incarnations – Christ Church College in Oxford, where the original of this picture can be found. Lord Peter Wimsey’s nephew was revealed to be an undergraduate there in this entry. Hilary Mantel has featured before. Other cardinals appear in this post, and in the book from which this is an extract. Perhaps the best historical novel I have ever read -- heck, one of the best books I have ever read. She brings the characters to life as complex, flesh and blood human beings. And if you like this try "A Place of Greater Safety" her novel of the French Revolution. Thanks for commenting - I keep thinking I ought to try the French Revolution one, but am put off by its length.